Описание: Данный учебно-методический комплекс английского языка от издательства Оксфордского университета примечателен своей основательностью. Главный упор методики делается на мотивацию студентов и развитие коммуникативных навыков. УМК имеет богатую комплектацию - помимо собственно учебников, в серию входят рабочие тетради, книги для учителя, тесты и аудио-видео приложения. Курс предназначен для взрослых студентов. 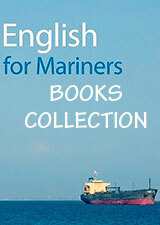 УМК English Result состоит из 4 уровней: Elementary - Pre-Intermediate - Intermediate - Upper-Intermediate. A new general English course with a strong focus on student motivation and communicative speaking outcomes. Package includes DVDs and interactive whiteboard resources. English Result offers a fresh approach to learning. The two-page lesson format maximizes student motivation through enjoyment and success. Enjoyment comes from the visual whole-page texts in every lesson. Success comes from putting real-world language into practice - in every lesson. With class DVDs, teacher's DVDs and interactive whiteboard resources available, you get total multimedia support for the classroom. If you believe motivation is essential for effective learning, you're not alone. 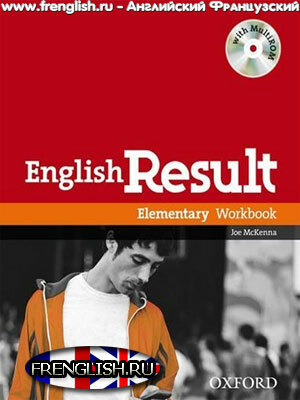 Authors Mark Hancock and Annie McDonald believe that too, which is why they wrote English Result - to create a course that puts motivation at the very heart of the methodology. They focused on two key areas for learners: enjoyment, and expectancy of success (results). If students enjoy learning, they'll be motivated. If they experience success - or can reasonably expect to experience success - they'll be motivated. English Result delivers both, using an accessible two-page lesson format which brings these two ideas together. The left page gives you a bold, visually attractive text on a topic that arouses curiosity, provides entertainment, or covers an area of human interest. It helps students to enjoy the lesson. The right page gives you the lesson itself. The real-world 'how to' language clearly matches students' learning goals - to communicate outside class - and the 'can do' outcome at the end puts language into practice immediately. Look at some sample pages to see how these lessons work, especially for those students who might need extra help with motivation.